Gautam Adani was born in 1962, his parents are Shantilal and Shanta Adani. His parents migrated together from Tharad to Gujarat, India where they would raise Gautam and his seven brothers and sisters. As he got older he would begin school at Sheth Chimanlal Nagindas Vidyalaya and then graduated from college at Gujarat University where he would earn his bachelor’s degree in Commerce. Afterwards he would start his career by working as a diamond sorter until he saved up enough money to start his own diamond brokerage. Starting his own business was a major success and he went on to make lots of money and was a genuine millionaire after the first year. After a few years he returned home and he and his older brother began their own plastic factory. This proved to also be very successful and to top it off Gautam began importing raw materials to make plastic which earned them even more money. Many people have stated that quitting a diamond manufacturing business to get into plastic was a risky move but Gautam is actually widely known as a risk taker and considering he’s a multi-billionaire it’s certainly paid off. Although he was very into selling diamonds and plastic, where Gautam makes the majority of his vast wealth is from his own company – Adani Group. As the founder and chairman he currently integrates coal mining and gas distribution. Over his 30+ years of being a successful business tycoon, Gautam has gone on to employ thousands of people and make tens of billions of dollars. Not bad for someone who is a first-generation business man. Kumar Birla was born in 1967 in Rajasthan and hails from a family that has some of the richest history in all of India. The family line originally began only a few generations ago and stems from a long line of wealthy businessmen. Throughout his childhood, Kumar would travel from place to place but mainly residing in Kolkata and Mumbai. From an early age he wanted to continue his family’s line of work by majoring in accounting. He went on to receive a Bachelor of Commerce from the University of Bombay in Chartered Accounting and then proceeded to obtain an MBA from London Business School. Kumar Birla’s father, Aditya Birla, was the Chairman and CEO of the multi-billion dollar company Aditya Birla Group which is one of the biggest conglomerate groups in all of India. Sadly, Kumar’s father passed away suddenly in 1995 when Kumar was only 28 years old. Kumar would then take over the company and while fellow members of the board had their worries about Kumar, he has since turned the $2 Billion company into a $40 Billion one. With his skills as a business man and all around effective leader, Kumar began expanding the company to earn revenue abroad, by expanding business to countries like Thailand and Egypt. Because of his outstanding skills, he turned his father’s business into the third largest group in India. Just recently, Kumar Birla has been elected as the new Chairman of the Board of Governors in Delhi. Cyrus Poonawalla was born in 1945 and seriously has one of the most badass last names of all time. Cyrus actually comes from a family who is very serious about horse racing. They own several farms with their main farm being called Poonawalla Stud Farms. While Cyrus is an advocate for horse racing, he felt that horse racing wasn’t going to lead to success for him. Instead he decided to get into the field of medicine and went on to study at the Brihan Maharashtra College of Commerce and graduated in 1966 but it wasn’t for another 20 years that he would finally earn a PhD. During those 20 years he has spent the majority of his time producing vaccines to help protect children from several lethal diseases. Since obtaining his PhD he has gone on to help create cures for children all around the world. While that earned him fame and even received the Padma Shri award for his contributions, the vast majority of wealth stems from his businesses. 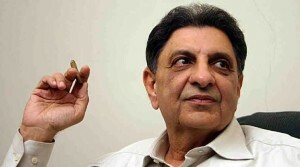 He is the chairman of the Poonawalla Group which owns several biotech companies in India. One of these biotech companies is the Serum Institute which is the largest producer of vaccines in India. A member of the board of directors of the global investment banking firm Goldman Sachs, Mittal was once considered the 6th richest person in the world until his net worth dropped him to 82nd. Mittal was born in the year 1950 to father Mohan Lal Mittal, a once prominent businessman of the steel company Nippon Denro Ispat. Lakshmi ended up getting a Bachelor of Commerce degree from the University of Calcutta and then followed in his father’s footsteps in early 1976 to begin his very own steel factor in Indonesia. Since then he has been one of India’s leading contributors to rolling mill for sheet stills. Although he resides in India he does business all around the world, including both the United Kingdom and the United States. 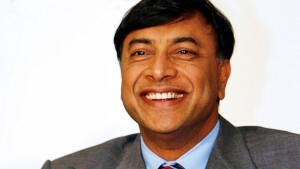 He is actually the CEO of ArcelorMittal which is based in the United Kingdom and is considered to be the largest steelmaking company in the world. Outside of being a billionaire, Mittal is also a world-renowned philanthropist. He has donated tens of millions of dollars to charitable funds, including children’s hospitals. He has also partnered with several other billionaires to establish the LNM Institute of Information Technology. It’s a non-profit school that offers students education in multiple fields of engineering. After seeing India only win a single medal in the 2000 and 2004 Summer / Winter Olympic Games, Mittal decided that his home country needed better trained athletes to represent India. With that in mind he helped setup the Mittal Champions Trust, worth nearly $10 million and supports athletes all throughout India. The Godrej Group is a huge conglomerate that deals with consumer products, furniture, security, industrial engineering, agricultural products and real estate. Something this diverse can’t be managed by a single person so instead it is managed by three members from the Godrej family. The original founders of this group are Ardeshir Godrej and his brother Pirojsha Burjorji Godrej. Together they helped bring this goliath of a business to life all the way back in 1897. 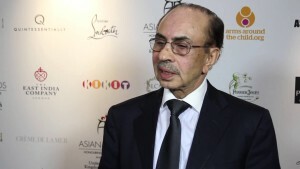 Today it is run by their descendants, three men two whom are brothers and one who is their cousin whose names are Adi Godrej, Nadir Godrej and Jamshyd Godrej. On their own they are worth billions of dollars but considering this is a joint company they are all together worth more than $11 Billion. The company started as a mere business selling locks. Back in 1897, in the then-Bombay, crime rate was beginning to reach an all-time high. Ardeshir Godrej felt if he sold locks he would become successful as people were becoming worried more and more each day about being robbed. The business was of course a success but unfortunately Ardeshir died before being able to have children. Luckily his brother and business partner Pirojsha decided to take over the company as his own. He went on to have children whom also gave birth to three children who would go on to now own the company. Under their control they have ventured from selling solely locks to what they now do today. 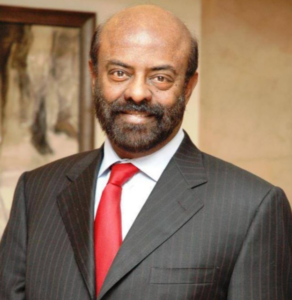 Shiv Nadar was born in Tamil Nadu, India in the year 1945. From a young age he was very bright and got accepted to admission at the Town Higher Secondary School. From then on he went to Town High School and then received his pre-University degree at The American College. After graduating from there he went on to study at the PSG College of Technology in Coimbatore, India where he received his degree in Electrical and Electronics Engineering. His bright career was just about to begin as he landed a job at an engineering group, although his tenure there wouldn’t last long as he made the decision to start his own business with several of his trusted friends. The company they started together went on to see a lot of success. They began creating calculators and then selling them off to the Indian market with their company they called Microcomp. After they started making a lot of money, Nadar would go on to create his own business called HCL Technologies. This business is where Nadar has acquired the majority of his wealth as he is the sole owner, rather than having to share ownership with his friends like he did at Microcomp. Since his time of being a billionaire he has gone on to focus on spending his money in the education and medical departments. Early on in 1996 he founded the SSN College of Engineering which is an engineering institution located in India. Nadar has gone on to receive several governor awards for his charitable contributions and recently returned to Town Higher Secondary School to make a large donation of money and new computers to benefit the young students. 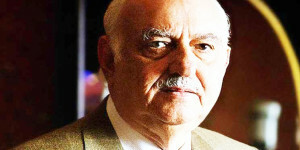 Pallonji Mistry was born in 1929 and when he was only a few years old his father purchased 18.4% shares of the law firm Tata Sons. The law firm would go on to belong to Tata Group, the largest conglomerate group in all of India. Since his father has sadly passed, the shares passed on to Pallonji, thus making him the largest shareholder of the largest conglomerate group which helps contribute to his multi-billion dollar fortune. Outside of being a large shareholder, Mistry also owns Shapoorji Pallonji Group, the largest business conglomerate in India which oversees lots of construction and real estate. The company itself is known for building a lot of Mumbai’s largest banks, including: Reserve Bank of India, Hong Kong Bank and Gridlay’s Bank. The group also helped pay for repairs after terrorists attempted to destroy the Taj Matal in 2008 and just recently began an affordable homes program. Even though Pallonji still lives in Mumbai, he currently has citizenship in Ireland after meeting and eventually marrying an Irish woman named Patsy Dubash. One thing they have in common is their love for horses so the two now operate a 10,000 square foot stud farm in India where they breed horses for racing purposes. 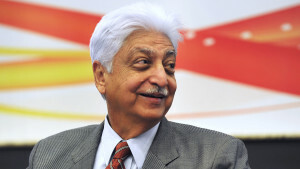 Azim Premji was born in 1945 to father Mohamed Premji. In the same year that Azim was born, his loving father created a business that manufactured vegetable products in India. Azim wasn’t all that interested in the business as he was more interested in engineering. As he got older he moved to the United States to attend Stanford University. It was here that he earned a Bachelor’s of Science in Electrical Engineering degree. Right after his education ended, Azim’s father tragically passed away due to health problems. Azim returned home and rather than continuing in the field of his choice he continued manufacturing vegetable products at his father’s company. When he took over he started to expand the business by also manufacturing soap and hydraulic cylinders. After about 20 years in the vegetable business he began to recognize how important technology was becoming. He decided to re-brand his father’s company by giving it a new name (Wipro) and started manufacturing microcomputers instead. With the help of the United States company Sentinel Computer Corporation, Azim ditched the vegetable oil and soap business and begun selling computer hardware. It proved to be a massive success as Wipro is considered one of the fastest growing businesses in India’s history. These days Azim is still with Wipro but has also become a very generous person. He has a net worth of more than $15 billion and has joined other famous billionaires like Bill Gates in pledging to give away the majority of their money to people who are in need of assistance. Dilip Shanghvi was born in 1955 in the small town of Amreli which is located in the state of Gujarat. He spent quite a long time going to several schools to earn his education, including J. J. Ajmera High School and Bhawanipur Education Society College. Afterwards he would attend the University of Calcutta where he would earn a Bachelor of Commerce degree. Straight out of school Dilip joined his father in Kolkata to help him in his drug company. I don’t mean illegal drugs like cocaine but rather medical drugs. He would continue helping his father out for many years until he saved up enough money to run his own company. Dilip realized that he would make more money manufacturing his own drugs and selling them, rather than just selling other people’s drugs. So he opened up his own company called Sun Pharmaceutical. It quickly went on to become a very successful business avenue, with Dilip earning the majority of his wealth due to its success. To this day it is the largest drug company in all of India. 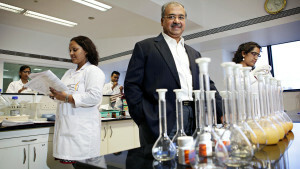 Since opening Sun Pharmaceuticals, Dilip has earned lots of money and has been able to acquire other drug companies. He owns one in the United States called Caraco Pharma and another one in Israel called Taro Pharma. Both of these companies have gone from doing poor financially to making a complete turnaround thanks in large part to Dilip acquiring them. Not only is Mukesh the richest man in India but he is also the richest man in all of Asia. 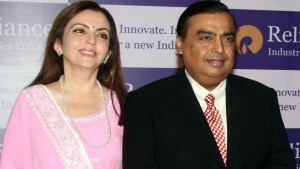 Born in Yemen in 1957 to parents Dhirubhai and Kokilaben Ambani, Mukesh would early on be interested in studying chemicals. After he graduated from high school he went on to study at the Institute of Chemical Technology where he earned his Bachelor of Engineering degree in Chemical Engineering. After receiving his degree he went on to study abroad in the United States where he got accepted to Stanford University. He had enrolled for a Master of Business Administration degree but ended up dropping out instead to return to India and help his father start up his own business. The year was 1980 and Dhirubhai Amani, Mukesh’s father, had applied for a license from the government to set up his own polyester manufacturing plant. The government accepted his proposal so together they got into the polyester and petrochemical business and set up their own plant. Originally their company was called Reliance Infocomm Limited but these days it is better known as Reliance Communications Limited. It is now considered one of the most valuable companies in India’s history. The plant now mainly deals with petrochemicals in the oil and gas sector. Because Reliance is so successful and Mukesh is such a good business man, he has gone on to receive multiple awards from organizations all around the world.